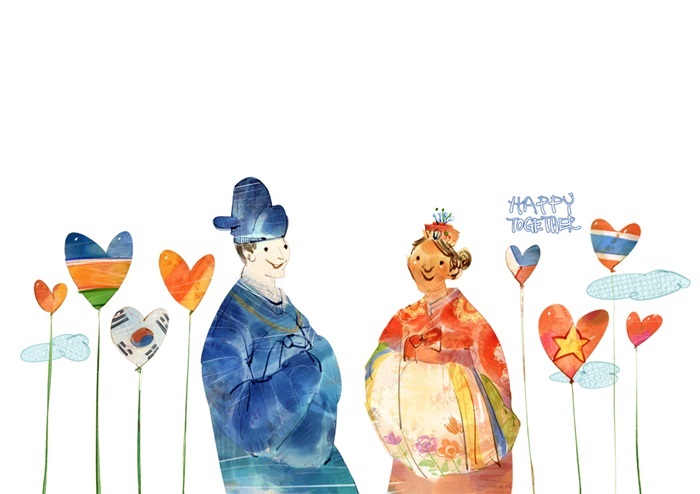 International marriages in Korea last year showed their biggest annual jump in 13 years, Statistics Korea said in a report released on March 20. The number of marriages between a Korean and a foreign national hit a record 22,698 last year, up 8.9 percent from the previous year. This surge was second to the rise of 22.3 percent in 2005. "After 2011, marriage between Korean men and foreign women declined. The recent surge is likely an effect of the popularity of Hallyu (Korean Wave) in countries like Thailand and Vietnam. This has been a trend over the past two years, so we need to wait and see if it continues," a Statistics Korea official said. The report said Korea last year saw 16,608 of its men marry foreign women, up 11.7 percent from 2017, while 6,090 Korean women tied the knot with foreign men, up 2.1 percent. The majority of the foreign brides came from Vietnam (38.2 percent), China (22.1 percent) and Thailand (9.4 percent). The number of those from Thailand jumped 53.4 percent while that of those from Vietnam rose 18.2 percent. More than half of the foreign men who wed Korean women came from China (24.4 percent), the U.S. (23.6 percent) and Vietnam (9.6 percent). The number of American men who married Korean women increased 3.4 percent.